What is a Georgia Non-Compete Agreement? Georgia Non-Compete Agreement: What Is It? 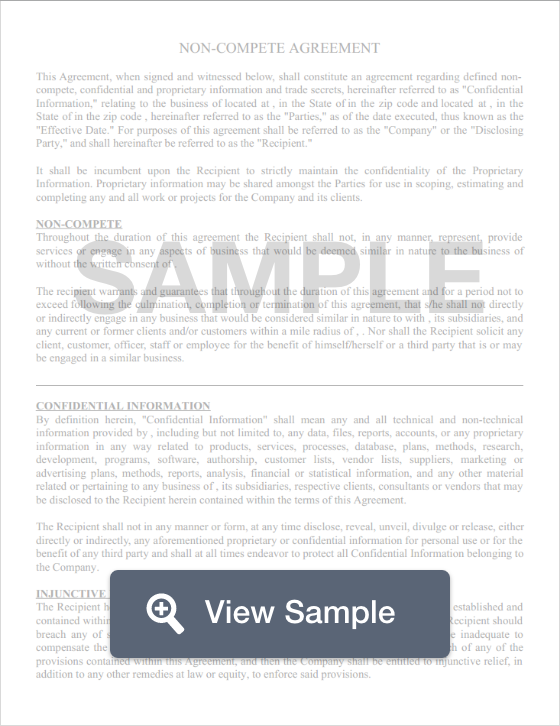 In Georgia, a non-compete agreement is an agreement between an employer and an employee that outlines the employer's expectations once the employee's job comes to an end. Generally, this type of agreement will limit the employees actions for a certain period of time, and restrict them from procuring similar employment or engaging in competitive behavior within a certain geographical region. However, each employer’s non-compete agreement will vary according to the needs of the company. Employees who have the ability to hire, fire, or advance another employee within the company. Employees who perform key roles in the company.